3:24 p.m., April 23, 2015--University of Delaware colleagues, friends and students of the late Dr. Norbert Mulders, professor of physics and astronomy, remember him as a dedicated and inspiring teacher, a brilliant experimental physicist and an open and witty companion. Dr. Mulders, a UD alumnus and member of the faculty since 1996, died from complications resulting from esophageal cancer on Monday, March 30. He was 55. "On behalf of the entire campus community, I extend our deepest condolences to Dr. Mulders' family, colleagues and students," said UD Provost Domenico Grasso. "We have lost a well-respected scholar, a dedicated mentor to hundreds of students and a valued colleague." Over the course of 12 years, Dr. Mulders served as director and guiding force of the department's graduate and then undergraduate programs. He was very interested in different cultures and also had a keen interest in exposing students to science, engineering and culture outside of the United States. The South American study abroad program that he developed and ran was widely popular and often cited by graduating physics and physics education majors as a memorable part of their college experience. In the laboratory, Dr. Mulders was a technical and engineering wizard. He will be remembered even more for being incredibly generous at sharing his expertise and providing advice and help to students and faculty on how they should design and conduct their experiments. “His ability and enthusiasm for such things was inspirational. I will never forget that spring in his step and the characteristic pushing up of his shirt sleeves when he set about to get something done in the machine shop, the advanced teaching lab or his research lab,” Nowak said. Born in the Netherlands, Norbert completed the equivalent of a bachelor of science degree in physics at the University of Eindhoven in 1984. He then moved to the United States in 1985 on a Fulbright fellowship to start his doctoral degree in physics, which he completed in 1989 at the University of Delaware. 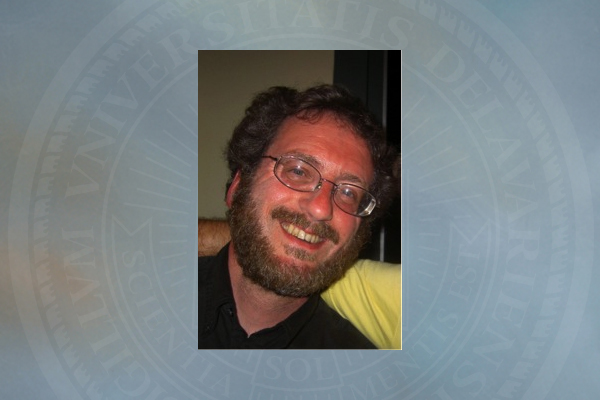 After postdoctoral and research associate positions at the University of California-Santa Barbara, University of Exeter and Penn State University, he joined the UD faculty in 1996. Dr. Mulders had broad research interests at the core of which was understanding phenomena in quantum fluids and solids at temperatures near absolute zero. A gifted low-temperature, experimental physicist, his technical ability coupled with his keen sense of identifying important scientific questions guided his use of quantum fluids for the study of general problems such as continuous phase transitions, physical adsorption and even problems in cosmology. Dr. Mulders perfected the technique of making silica aerogel, a fibrous solid that is only four times heavier than air, to study the properties of quantum fluids in disordered media. His experiments revealed spectacular new phenomena that raised tremendous interest in the low temperature physics community. Moses Chan, Evan Pugh Professor of Physics at Penn State, said, “It is not an exaggeration to say that Norbert started a new field in helium physics and launched the scientific careers of many colleagues worldwide”. Dr. Mulders published more than 150 papers, and he held one patent. He is survived by his mother, Maria M.R. Mulders-Staeb; sisters, Monica Mulders, Irene van Wulfften Palthe and husband, Han, Ingrid Mulders and husband, Tony Schoen; and nieces and nephews, Nomi Mulders, Else and Rutger Palthe, and Tijmen, Oscar and Jonathan Schoen. A memorial service celebrating his life was held April 3 in Eindhoven, Netherlands. A student award in memory of Dr. Norbert Mulders and a local symposium in celebration of his life and career are also being considered. Details will be posted on the Department of Physics and Astronomy webpage when they become available. Friends and colleagues who wish to support the student award and/or symposium are asked to please send contributions to: University of Delaware, Gifts Processing, 83 East Main St., 3 Fl., Newark, DE 19716. Make checks payable to "University of Delaware" and include on the memo line “in memory of Dr. Norbert Mulders”. Gifts can also be made on the University of Delaware’s secure website, www.udel.edu/makeagift. "Norbert was ‘a barrel full of contradictions.' A very private person on the one hand, he seldom spoke about feelings or emotions; an einzelgänger -- dedicated to his research and the University. But on the other hand, he was an easy socializer with a big mouth. We spent many nights over a good glass of wine, enjoying lavish dinners, having conversations about just about everything. He was intelligent and interested in anything and everything. "From his students, we have received numerous emails about how sincerely committed he was to help them. And even toward the end, when he was really sick, he still thought about leaving gifts for his family and friends. His colleagues called him shy, in a way, but lovable and kind.